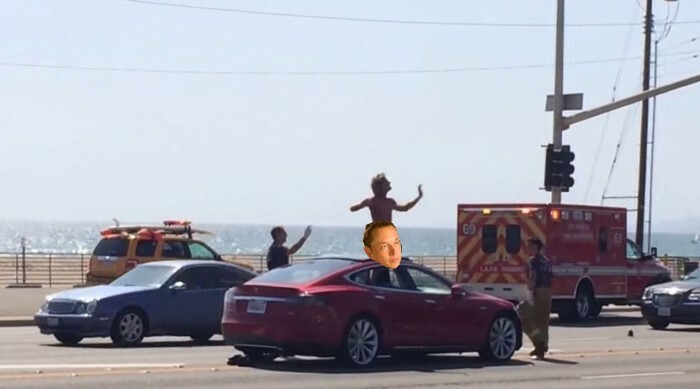 Disclaimer: This isn’t an image of the actual incident. Nope, this isn’t a story from The Onion. This is an actual thing that happened in South LA this past Sunday night. When LAPD officers received a call regarding a naked man running around the streets Sunday night, they sprung to action (hopefully the same was not true of the naked man). Two officers took the call, heading to their vehicle and driving to the location provided by the caller. The only thing they had to go on was that he was naked. Shouldn’t be difficult to spot, right? Even in California. Unfortunately for the police officers, the naked man had decided to lie in the middle of the street wearing nothing but a pair of sneakers. As you do. Unsurprisingly, the officers didn’t see the man—probably because they were looking for him running around yelling about going streaking, a la Frank The Tank—and ran over him. The man was killed, and police had no idea as to why he was out naked in LA on a Sunday night. An investigation is underway to determine whether or not mental illness, drugs, or alcohol were contributing factors in the man’s nakedness.